Having the right equipment available following a spillage helps your organisation manage an incident swiftly and safely. 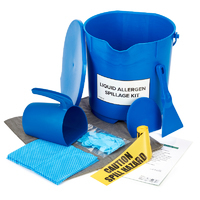 Here at Klipspringer we stock a range of colour-coded spillage control and incident kits, including a Glass Breakage Incident Kit, Allergen Spillage Powder Kit, an Allergen Spillage Solids Kit and an Allergen Spillage Liquids Kit. 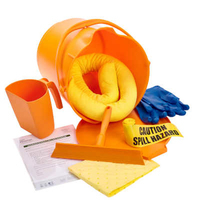 Our spillage response kits are suitable for companies and organisations of all sizes. Biohazard spillages pose a threat to anyone in their vicinity, and need to be tackled swiftly. 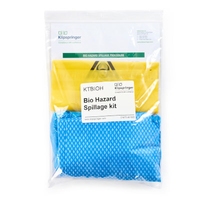 Our bio hazard spill kits support fast and effective clean up, getting the affected area back in to use quickly. Fast and effective clean-up helps protect your staff, as well as any customers or visitors that might come into contact with the spill liquids, powders or glass/hard plastic fragments. 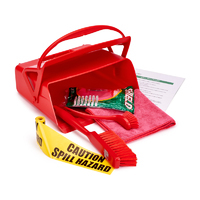 A dedicated emergency spill kit will help your staff complete an effective clean-up operation - Fast. 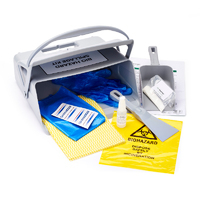 Hazardous materials kit designed to contain and clean up small chemicals spills to reduce or eliminate associated health and safety risks. All you need in one handy carrying bucket. 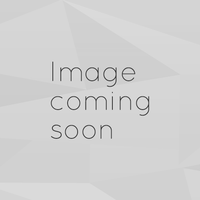 Why not order with Spill station, which can house the kit in a prominent position, readily assessable for use when need arises. Hazardous materials kit designed to contain and clean up small chemicals spills to reduce or eliminate associated health and safety risks. All you need in one handy carrying bucket. Why not order with Spill station, which can house the kit in a prominent position, readily accessable for use when need arises. 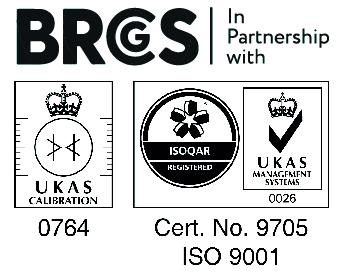 Make sure you are adequately equipped for the unfortunate situation of a bio-hazard event arising on site. A simple, portable and colour coded spillage kit for dealing with any small bio-hazard issues in the most expedient manner. 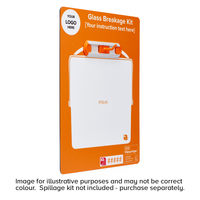 All you need to deal with a glass breakage dilemma swiftly and effectively using one ready assembled kit. 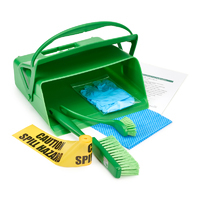 Carefully selected cleaning kit designed specifically for dealing with allergen spills involving powders. 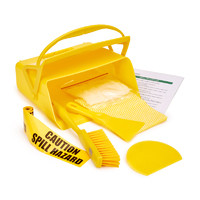 Reduce downtime caused by allergen solids spills by having the most effective clean up tools on hand in this simple yet effective spill kit. Minimise the impact of an allergenic liquid spill by keeping this carefully assembled kit on hand to facilitate a fast and effective clear up. Ensure your glass breakage kit is always highly visible and where it should be when you need it with this special Shadow Board station. 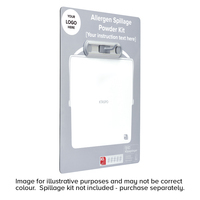 Ensure your allergen powder spills kit is always highly visible and where it should be when you need it with this special Shadow Board station. Ensure your allergen solids kit is always highly visible and where it should be when you need it with this special Shadow Board station. 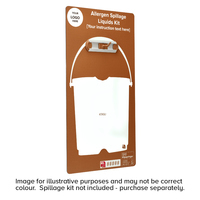 Ensure your allergen liquids kit is always highly visible and where it should be when you need it with this special Shadow Board station.